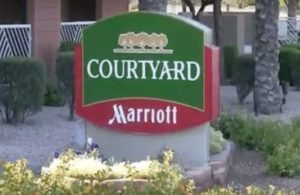 A Courtyard Marriott Hotel in Phoenix, Arizona faced significant slab settlement on their busy parking garage ramp. The URETEK crew drilled small 5/8” holes, and injected URETEK’s patented two-part expanding polymer which expands, lifting the settled areas in a matter of minutes. Once the polymer is injected, the material expands 20 times it’s liquid volume and creates an extremely controllable yet high level of lifting force. 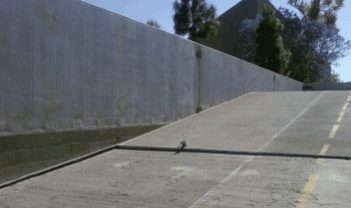 As the material compresses and densifies the sub-grade, the ramp slab is lifted back to its original elevation. 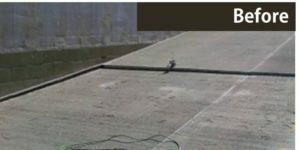 URETEK was able to lift the sunken slab about 3″ inches back to it’s original elevation. The structural polymer reached 90% of it’s compressive strength within 15 minutes, allowing for immediate use of the slab after treatment and increasing the load bearing capacity. Total job time from start to finish was roughly 2 hours. The hotel was very pleased with the short length of time it took to complete the project, the cost savings, and the professional quality of the work performed!